Precipitated by recent events, I created the following postcard. When faced with extra-ordinary events, there’s no way to react but to get creative. The card is available for under $5.00 here. This entry was posted in Life As Art, The Creative Process and tagged Bad Luck, darlene, Evil, Evil Events, typography on October 21, 2017 by Darlene. In reviewing some design portfolios of candidates seeking layout work in the RPG genre, I was very surprised. From the samples I have seen thus far, I wonder if anyone has any feel for using type at all! The last portfolio I reviewed, there were only two readable pages among twenty. Only those two pages used flush left/rag right alignment and the ratio between the size of the type versus the length of the line was finally correct. Unfortunately, it was all wrong on his other sample pages. Apparently, this designer does not know that using the optimum number of characters per line (cpl) greatly impacts legibility. Basically, anything from 40 to 75 characters is widely regarded as a satisfactory line length for a single-column page set in a serifed text face in a text size. The 66-character line (counting both letters and spaces) is widely regarded as ideal. For multiple column work, a better average is 40 to 50 characters. Font sizes need to be adjusted up or down to achieve it. Therefore, if designers insist upon using one column of type across an entire page, they must strive to make the type conform to 66 characters per line. Otherwise, the page will look like the suspiciously small type within a lawyer’s contract. Longer lines (between 85-90 cpl) may be acceptable for bursts of discontinuous text, such as in bibliographies and footnotes, but for continuous text, lines with more than 80 characters is unacceptable. On the other hand, study participants preferred shorter lines over long lines, likely because they feel more at ease with the format. Also, short text, such as ragged marginal notes, can be as little as 12-15 cpl. Whatever the format, the text should be always be inviting and easy. Avoid the mistake of presenting a wall of text with no breathing room. Don’t make leading–the space between the sentences in a paragraph–too tight. Think of the leading as the road that brings the eye back to the right to read the next line. The pathway of white should, at the very least, be 20% of the font size, or two points above the size of the font. That’s what is meant by 10 on 12 (written 10/12). It means to set the text using ten point type with twelve points of leading. The same paragraph set solid is written 10/10. The designer would be cruel to the reader to set a paragraph solid with a justified type alignment. When the text is set as thick blocks, it becomes an almost impenetrable wall. Reading is slowed and comprehension is compromised. It’s also a recipe for a head ache. I wonder why this mistake is done so often in the RPG genre? Why is there so little regard for making texts legible and accessible to the poor reader? Is it possible people are unthinkingly proliferating the mistakes created by others before them? Another portfolio I perused showed the complete opposite. This designer used the page like a canvas. Also being an illustrator, she used the text to accentuate her art. She made a statement about not liking there to be too many lines of text on a page. That’s ok if she was also the author. If not, I would hate to be someone who was trying to communicate something vital in the midst of visuals competing for attention. This designer was self-serving, showing off. Her allegiance was not true to her role as designer: to accentuate the meaning of the text. A good designer makes sure that everything is accessible to the reader. The page is not a canvas for the designer to express himself–that takes away from the purpose of the page and spread. Nor is it a contest to see how many words can be crammed onto a page because printing is expensive. In good design, the words always take precedence. They are supported. Information is easy to find. Reading becomes a joy. Good design is reassuring to the reader. Good design is invisible. It does not call attention to itself. It faithfully supports the meaning of the words and looks easy. Successful graphic design is Zen. Sources: Bringhurst, R. (1992). Horizontal Motion. The Elements of Typographic Style, pp 25-36. Point Roberts, WA: Hartley & Marks. 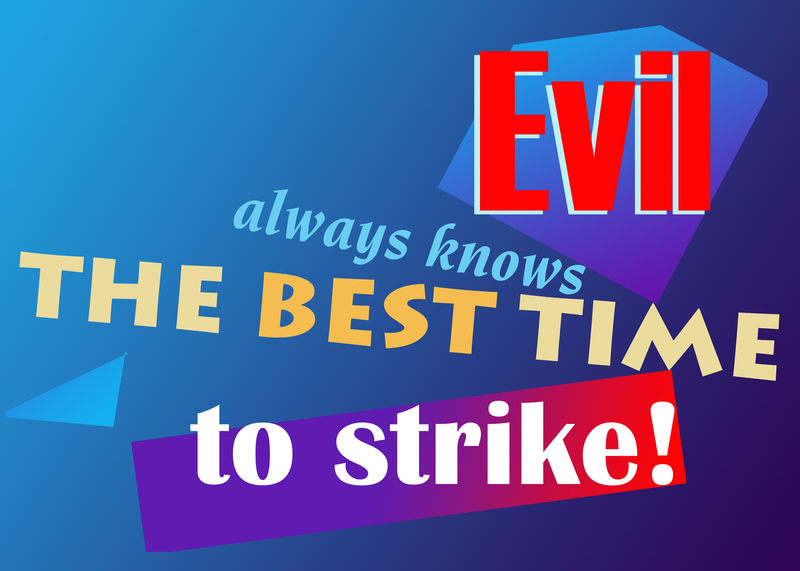 This entry was posted in Design Tips and tagged characters per line, cpl, design, fonts, good design, layout, optimum line length, typography on March 1, 2017 by Darlene. If I was still teaching first year Indiana University graphics students (after declaring Graphics as their major at IU), I could use the following examples to demonstrate some basic graphic design typographical tweaks and tenets. Each page of a book should be inviting to the reader. Every unit of text must relate to every other unit and be in harmony while maintaining its typographical distinction. It’s a balance. For instance, the 2-page spread I’m using as an example (created for Kathleen Wiley’s first book, “NEW LIFE: Symbolic Meditations on the Birth of Christ Within,”) perfectly illustrates this. Each chapter’s beginning page has six separate elements to juggle. I managed this by sculpting the white space. The first five sections within each chapter have centered text. First, I bunched the three uppermost elements together at the top as a unit because they appear together on the Table of Contents page. As the purpose of the first three lines is informational, I used the easily readable Gill Sans font family: light for the Chapter number (a), bold face for the chapter title (b) and regular to note the scripture. Section (5) is the scripture associated with each chapter. I significantly indented the text block on both sides, making the biblical passages similar in feel to how they usually appear in context. Because it was of the same serif type family as Kathleen’s commentary above, I just used Garamond’s regular text font. I also wanted it to be significantly different from the major text font. In her major commentary section (6), Kathleen is in a more analytical mode. That’s why I changed the typeface back to the sans serif, Gill Sans, and split the text into a two column format. The tone is different, more intellectually removed from the subject, but contemplative. To set off each chapter head so as to give the eye a focus, I inset a decorative initial capital letter within the first paragraph of text. The major text continued in its two column format until Kathleen’s ideas were complete. To signify the end of the major text, I placed Kathleen’s iconic key lock. 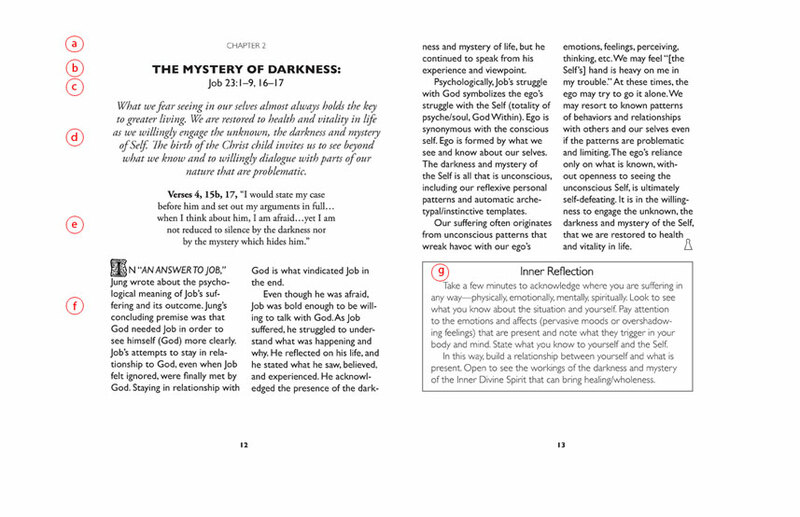 The last section, chapter (7), is “Inner Reflections,” the chapters’ quiet Call to Action. Although this final section may appear to be centered because of the title, the type is in fact justified left, ragged right. I used Gill Sans Light and indented it within a thin-bordered box to make it easily found for those who wish to quickly refer to the meditation. This entry was posted in For the LOVE of BOOKS and tagged book design, Kathleen Wiley. DARLENE, tips, typography on December 7, 2015 by Darlene. Tips For Artists: To Freelance or Find a Job? Morning on Tips For Artists: To Freelance or Find a Job? Darlene on Tips For Artists: To Freelance or Find a Job? Shelby on Tips For Artists: To Freelance or Find a Job? Kozmo on Tips For Artists: To Freelance or Find a Job?